To see and download your billing history, go to Account Settings from the account drop-down menu in the top right-hand corner of the Stock Rover screen. 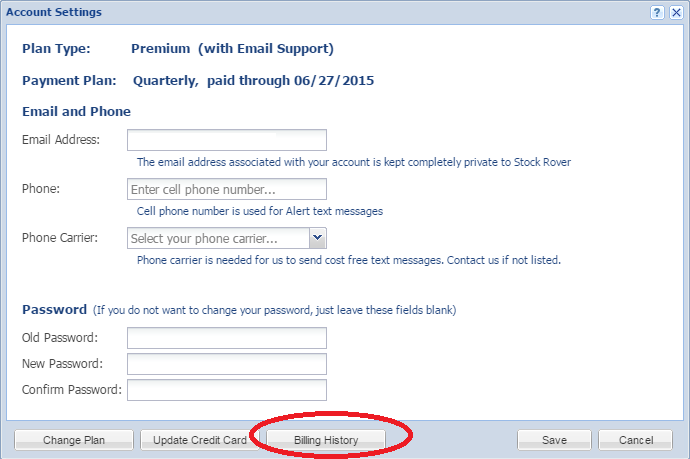 At the bottom of the Account Settings window is a button called ‘Billing History,’ circled in the screenshot below. If you do not see this button, it means your account does not have a billing history. 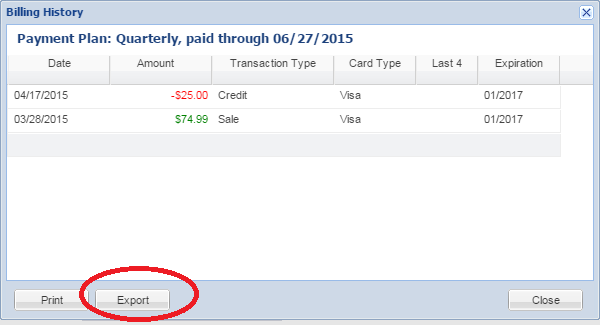 Clicking that button will open a new window where you can see a history of your billing transactions. To export this list as a CSV file, simply click the ‘Export’ button, circled below.